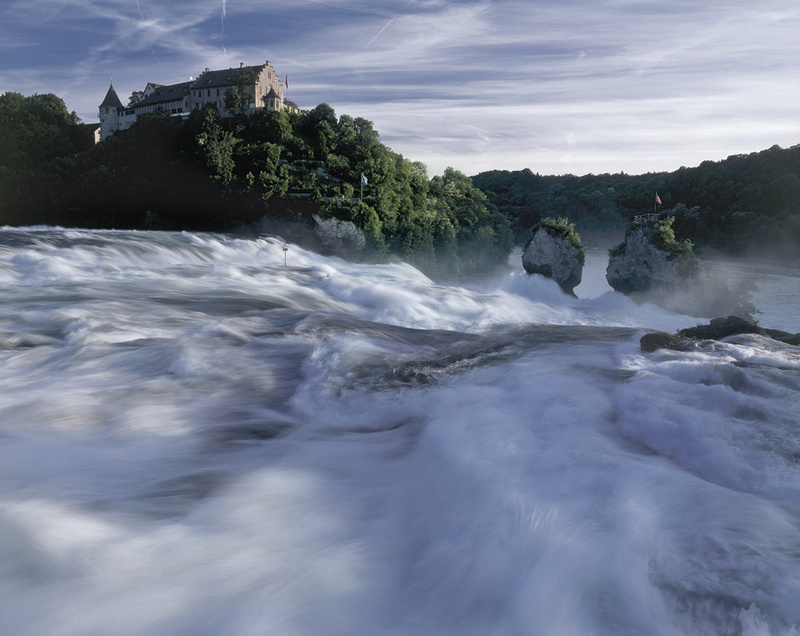 Schloss Laufen at the Rhine Falls certainly is one of the most spectacular and beautiful venues in Switzerland. In a distance of only 47 km the Zurich airport is to be found. In close proximity of the urban railway station, a spectacular attraction expects you. Spend private occasions in our house as for example baptisms, jubilees or various festivities and let the biggest waterfall of Europe, a unique spectacle of nature, take your breath away. Of course, the realization of different business events is well situated here, thanks to the adaptable rooms as well as to the high-class technical equipment. Up to 200 people can have a seat here. Apart from the realization of your own event ideas, we offer four special highlights to you. At the Historama you get a history lesson and learn all interesting facts about the 1,000-year-old past of the castle, while the Belvedere way leads you directly to the waterfall. Here the "Känzeli" is a viewing platform which allows you to have a look from above to the event below. Finally, the panoramic lift is convincing with a unique view to the whole surroundings. Also for the realization of business events like seminars or conferences, our rooms are suited very well. 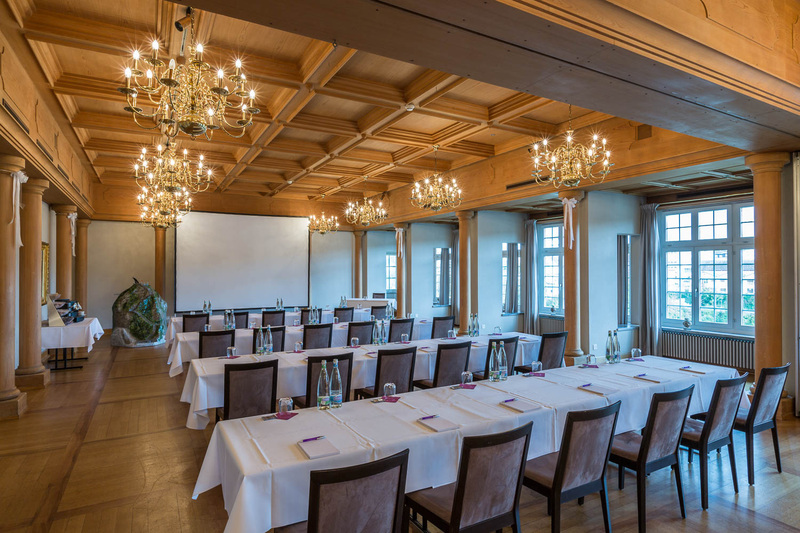 In unique scenery and with vista to the Rhine Falls we offer five functional and bright event rooms of different sizes. On 120 sqm, our two knight's halls are available which can be used individually or in combination according to demand. Both rooms together have a capacity of 200 people. For conversation rounds in more intimate atmosphere, the 20 sqm big castle room can be used with max. twelve guests, the 25 sqm big round tower takes up to fifteen visitors. Alternatively, we offer the Laufenstube suited for max. 14 people, a bright space with fitments from the 16th and 17th century. Of course, the seating can be arranged individually to the respective event. 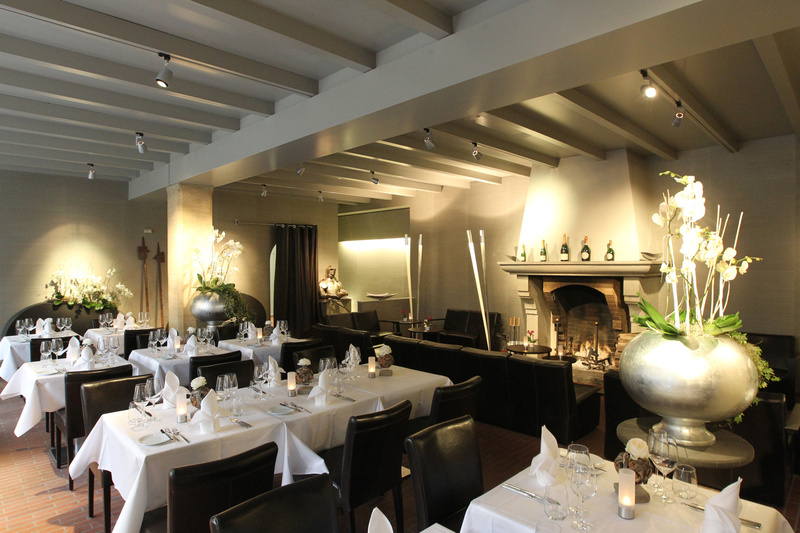 With pleasure, we support you in your decision and recommend you the suitable setting for your occasion. A modern technical equipment also belongs to our high-class facilities. Benefit from the Wi-Fi access and use video projectors for your presentations. Moreover, you can have at your disposal a flip chart and a white board, a presenter's wall and facilitor's toolbox as well as a height adjustable speaker's desk. 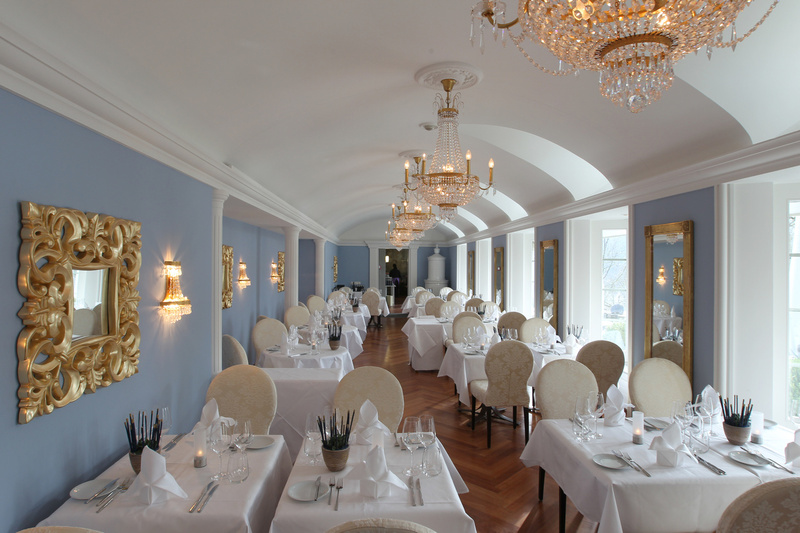 If you want to offer an event beyond the spectacular rooms to your staff, carry out one of the offered incentives with your employees. Whether action or pleasure is in the foreground, it is up to you. In the course of an excursion like a boat trip, you will discover the exciting nature of the rocks close to the waterfall. 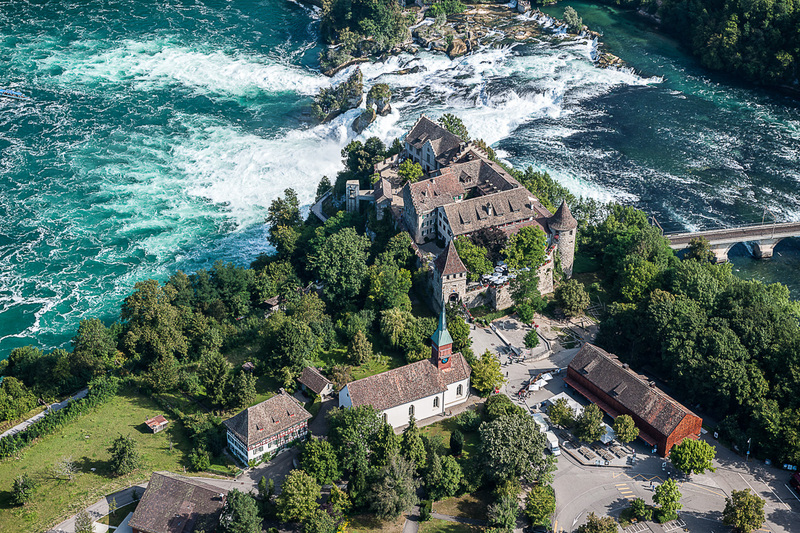 We gladly walk up to the rope park in Neuhausen with you or guide you through our museum and to the Rhine Falls. Our in-house, more than 500-year-old wine cellar offers various fine wines from the region and from the whole world to you; within the scope of a wine tasting you may try these with pleasure! 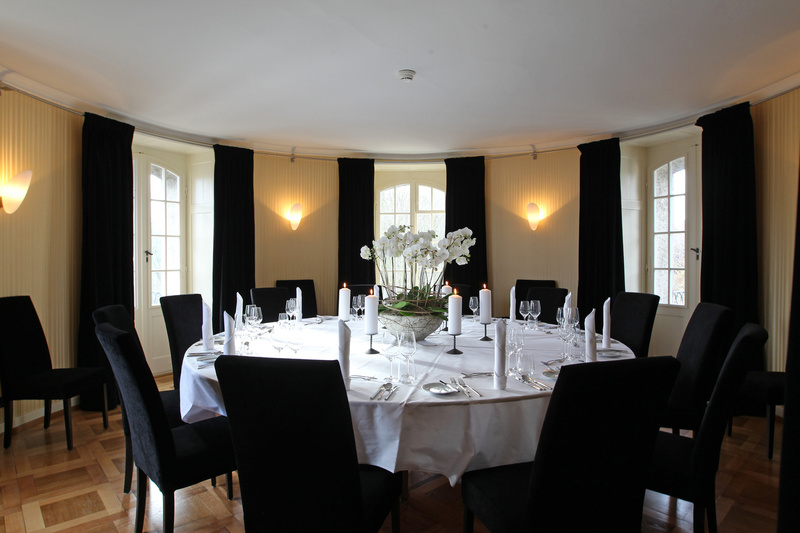 Alternatively, a guided tour and a degustation can be booked at the vineyard Strasser in Stein am Rhein. There's hardly a more romantic place than a castle for the realization of a wedding celebration. 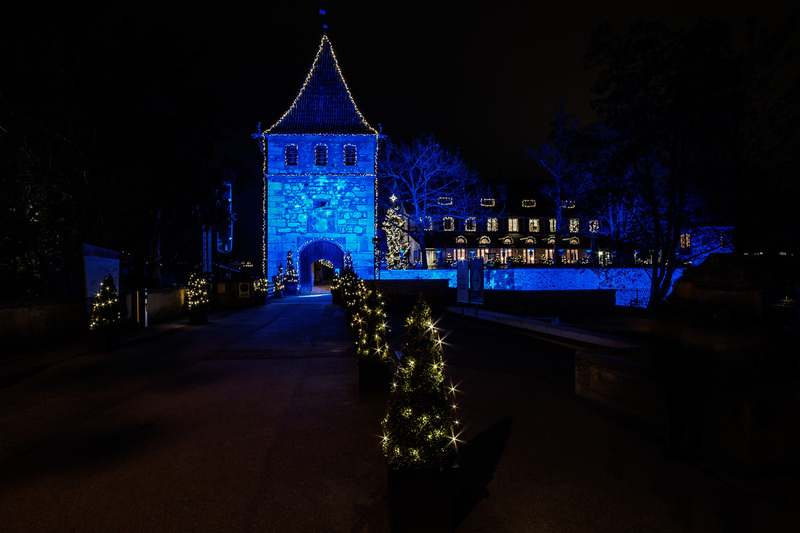 Place your festivity directly at Schloss Laufen and, in addition, benefit from the unique Rhine Falls spectacle! We present an individual offer to you and support you from the first planning up to the realization of your wedding party, in order to make your great day unforgettable. The civil ceremony can be celebrated in our house. 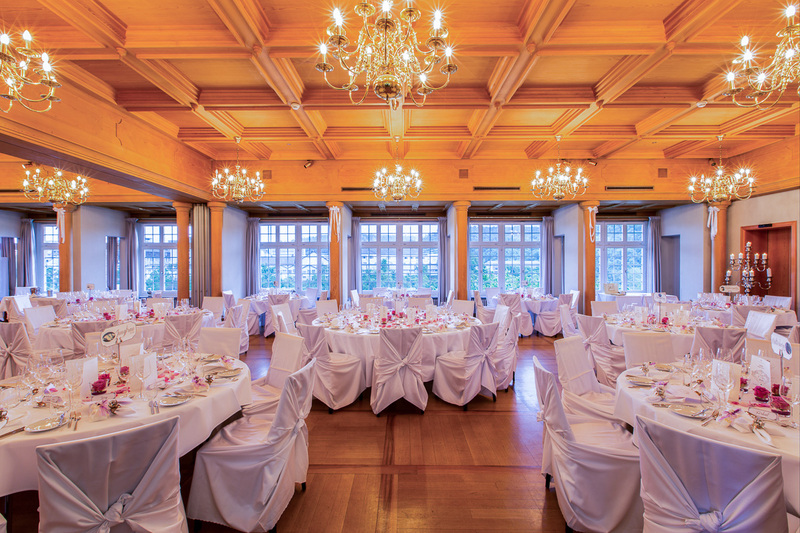 We offer the bright and festive Bleulersaal for it with a surface of 230 sqm. Inside there is a capacity of approx. 40 people who can enjoy festive crystal candlesticks, white columns, a round tiled stove and different antique mirrors in the course of the ceremony. In the following our idyllic inner courtyard can be used for the first festivities while having an aperitif. The festive and creative dishes of premium quality from preferentially seasonal and regional cultivation are also served in the Bleulersaal, if requested. With pleasure, our round tower can be used for your dinner. For a small group of max. 17 people the round tower presents itself with a golden-decorated wallpaper, dark velvet curtains and a big wooden round table. In order to complete the fantastic ambience, there is a small balcony on site. For bigger wedding parties, we offer the knight's hall with a maximum capacity of 150 places as a showpiece of the castle and with look at the Rhine or we make the restaurant Castello available. The latter offers room for 40 to 60 guests on 116 sqm and guarantees an atmospheric setting with view of the inner courtyard. At the reformed church next to Schloss Laufen, you can take part in an ecclesiastical service.